Surfrider Foundation, with its nearly 55,000 members and 90 chapters world-wide, has been protecting oceans, waves, and beaches for over 25 years. 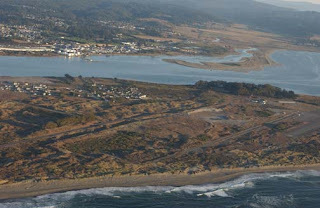 Today’s members may know little or nothing about Surfrider’s first major victory in the early ‘90s, fighting major polluters in Humboldt Bay, California, near the popular North Jetty surf spot. Surfrider’s litigation resulted in one of the largest Clean Water Act settlements in the United States at that time. In the late ‘80s, two pulp mills on Humboldt Bay’s northern peninsula, owned by the Louisiana-Pacific Corporation (“L-P”) and the Simpson Paper Company (“Simpson”), discharged a combined 40 million gallons of untreated wastewater per day into the Pacific Ocean. The mills used chlorine in their “Kraft” bleaching process to turn brown pulp into white paper. The EPA allowed the mills to operate under modified National Pollutant Discharge Elimination System (NPDES) permits, issued in 1987. However, even with the waivers, the mills quickly began violating these permits. In late 1988, the EPA issued complaints and ordered the mills to clean up their act and comply with their permits. Meanwhile, area surfers and beach goers complained of foul colored and foul smelling water near the mills, and reported skin and eye irritation, nausea, and bacterial illnesses; scientists found traces of highly toxic chemicals, dioxin and furan, created in the chlorine bleaching process, in smokestack emissions and in fish and crab samples near the mills’ discharge outfalls. In May of 1989, following a year-long research effort which determined that the mills’ discharges exceeded limitations for pH, chronic toxicity, total suspended solids, sanitary waste, black liquor discharges, ammonia nitrogen, and rates of dilution, discoloration, and natural light, Surfrider filed suit against the mills using the Clean Water Act’s citizen suit provision (four months after filing its Notice of Intent to Sue with the EPA). Surfrider claimed the mills were not complying with the terms of their NPDES permits pursuant to the Clean Water Act (CWA) §402, U.S.C. §1342, and further claimed this amounted to a violation of CWA §301(a), 33 U.S.C. §1311, which prohibits the discharge of pollutants from a point source into navigable waters of the U.S. unless in compliance with the Act. The specific violations Surfrider identified were taken directly from the discharge monitoring reports (“DMRs”) and non-compliance reports (“NCRs”) the defendants submitted pursuant to federal reporting requirements and defendants’ NPDES permits. Surfrider additionally claimed that both mills were violating consent decrees (settlements) they had entered into with the U.S. EPA in 1983 after alleged civil violations of the CWA. Surfrider sought to shut down the mills until they complied with their permits, and over $25 million in civil penalties. Two months later, in July, 1989, the EPA filed suit against both mills; and in September, 1989 the U.S. District Court for the Northern District of California consolidated the Surfrider and EPA suits. Nearly two years later, in July, 1991, Surfrider settled with both defendants; and in September, 1991, both Surfrider and the EPA entered into consent decrees with the mills. 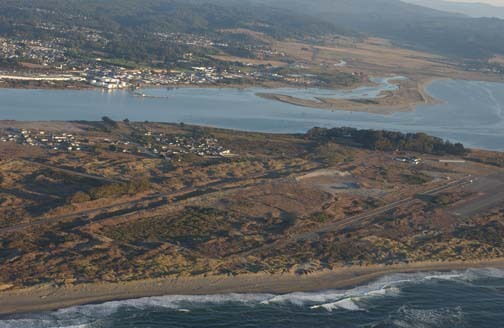 The "Humboldt Area Recreation Enhancement and Water Quality Fund" was a result of Surfrider's litigation efforts and a settlement with the mills. Both mills contributed $175,000 ($350,000 total) in funds to improve recreational and environmental resources. Surfrider used part of these funds to implement and maintain a shower and emergency telephone at the North Jetty, as well as to improve the area’s Samoa Dunes National Recreation Area initially, and the remainder of the settlement award was disbursed through the Humboldt Area Foundation. Humboldt Area Foundation permanently manages the fund, which makes interest available in perpetuity to fund grant projects meeting the spirit of the settlement agreement. A portion of the fund was initially used to evaluate and monitor the mills’ progress in cleaning up operations, and now funds projects to benefit marine or aquatic recreation and water quality in the area. To date, grants total $127,000, and have gone to projects which include: sand dunes restoration and educational projects, summer youth programs and surf camps, and swimming and boating safety programs. For a list of all grants made through the “Humboldt Bay Recreation Enhancement and Water Quality Fund,” click here. The Surfrider and EPA consent decrees required the mills to each pay $2.9 million (for a total of $5.8 million), which at the time, were the third largest penalties levied by the EPA for CWA violations, and the largest in the Western U.S. The consent decrees also required the mills to implement treatment measures or process changes to stop their CWA violations, complete a toxicity treatment study, and install a treatment system to solve the toxicity problem. L-P was required to extend its existing outfalls (where the mill’s effluent is released into the ocean) sufficiently to keep its effluent away from recreational areas, and Simpson was required to extend its outfalls unless additional treatment could render its effluent safe for human contact. Additionally, the L-P agreement required L-P to analyze the feasibility of further changes in its mill’s processes to reduce the use of chlorine in its pulp bleaching process. This case study illustrates the power of the Clean Water Act’s citizen suit provision for use by organizations such as Surfrider Foundation to fight large industrial water polluters. When Surfrider filed suit, the Foundation had only around 5,000 members, yet was able to successfully fight for the public interest and stop the pollution of a precious California coastal resource. Surfrider’s lawsuit drew national attention to the matter and prompted the EPA to intervene, thereby utilizing the federal government’s resources and expertise in the litigation. Moreover, settlement was a victory for Surfrider, as it provided the opportunity to obtain $350,000 to fund extensive clean water and recreation enhancement projects in the Humboldt Area, which continue today.